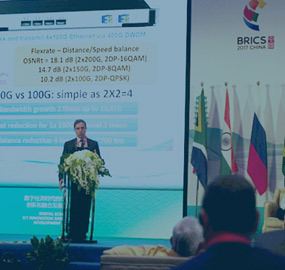 The regular meeting of the BRICS ministers of communications was on the 27 of July in Hangzhou. 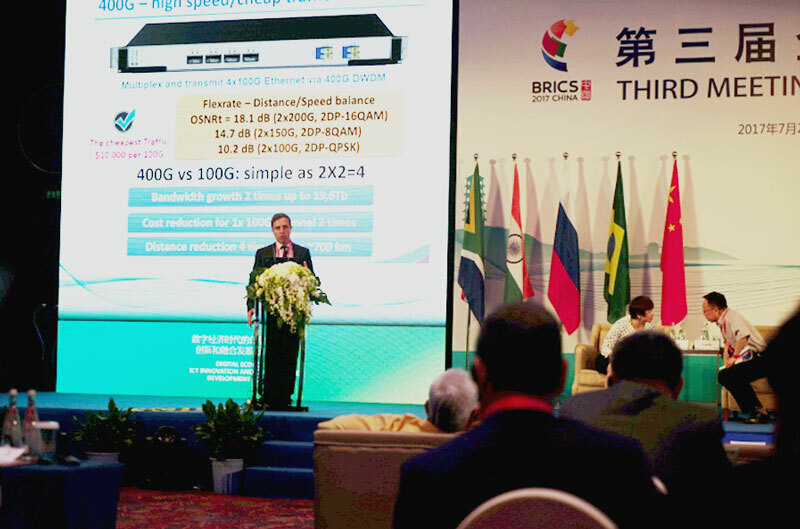 The topic of the meeting “Innovations in information and communications technology and development evolution in digital economic” was continuation of extension and consolidation between BRICS countries in telecommunication area. CIO T8 Vladimir Treschikov made a presentation at the meeting. Nikolay Nikiforov, the minister of telecommunications noted that Chinese information exchange takes place among all continents. Taking into account geography location of Russia it can become reliability partner for exchanging data with Europe. At the meeting the ministers of telecommunication made a decision to strengthen the connection of digital infrastructure and expand cooperation in such new technologies as 5G, cloud computing and big data. At the end of the event the declaration of the ministers of telecommunications was adopted. Russia was represented by following companies: “T8” (telecommunication equipment), “Kaspersky Lab” (antivirus software and information security), “Mobile Open Platform” (Sailfish mobile operation system), “Rus IT Export” (E-government solution, smart city), “Materik” (national and international cosmic projects design and integration). BRICS (Brazil, Russia, India, China, South Africa) was founded in 2006 at ST.Petersburg International Economic Forum.